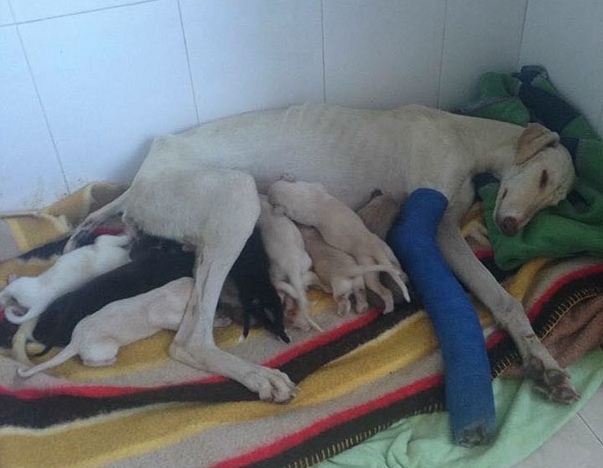 A dog with a badly broken leg incredibly led a vet two miles to an abandoned car where she had given birth to ten puppies so they could be looked after. 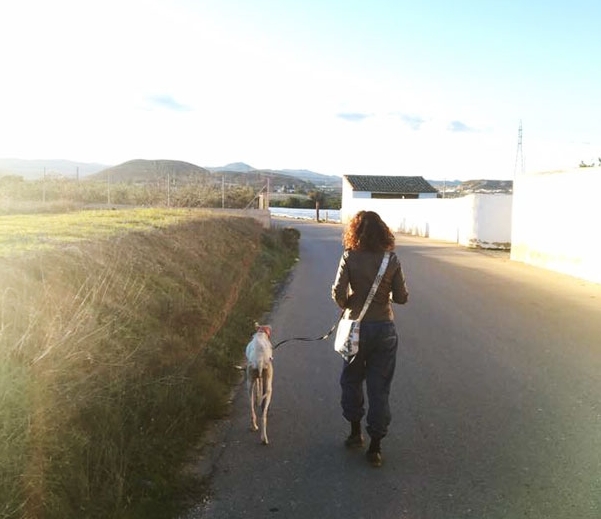 The emaciated greyhound is believed to have been dumped by hunters and was discovered wandering around a market with a snapped front leg in Vera, southern Spain. Psychologist Lianne Powell, 49, caught the stray, who is thought to be between two and three years old, and took her to a local vet for treatment on Saturday. 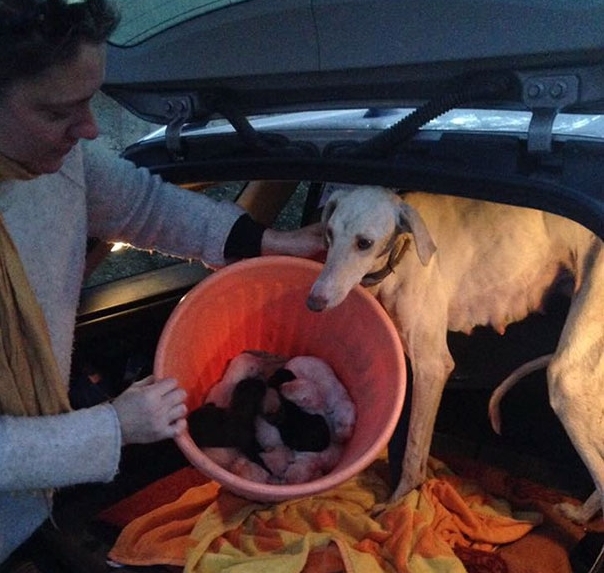 But after noticing the female dog was producing milk and must have given birth between five and seven days previously, vet Ellen Sobry and Lianne began searching for any living puppies. 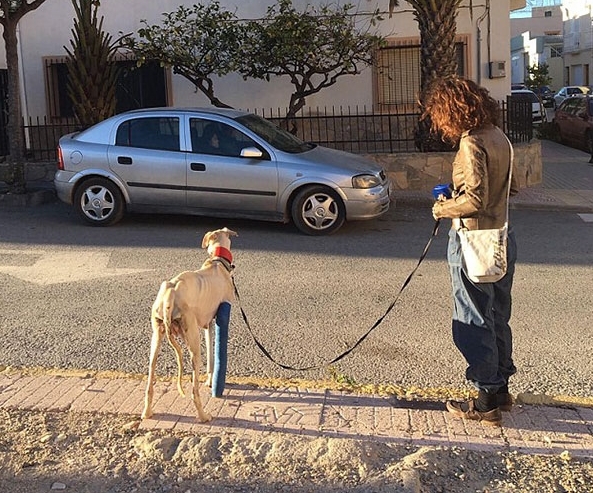 They were amazed when the dog, which has now been named Vera after the town where she was found, miraculously led the pair on a two mile walk straight to her tiny offspring. 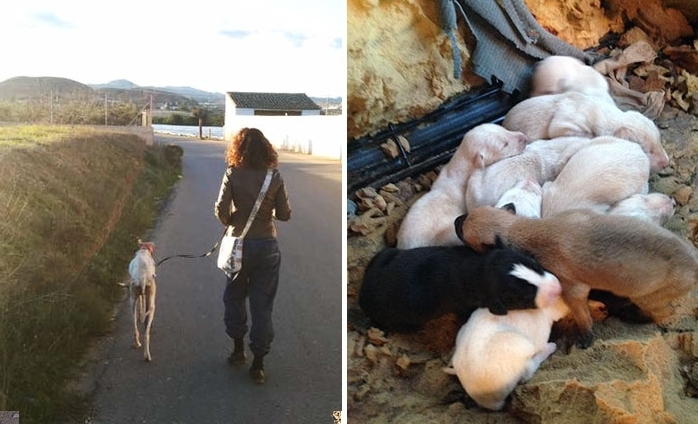 Belgian expat Ellen, 39, said: 'She had a broken leg, was bleeding from the back end and I saw she had milk, so I thought "well where are the puppies?". 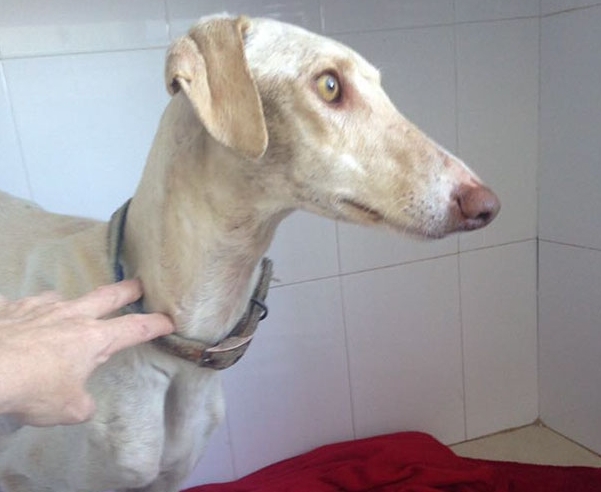 'We put a collar and long lead on her and took her back to the market. Then we just followed her for about 3km – she knew where she was going. 'She led us to them, it was incredible – I couldn't believe what I saw. 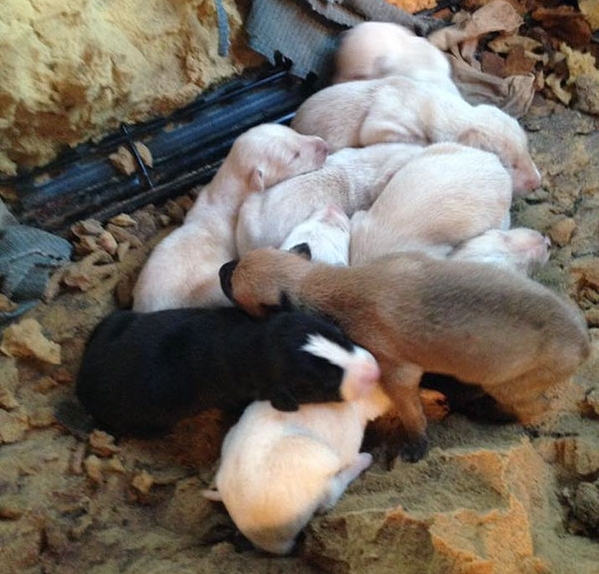 Responses to "Dog With Broken Leg Leads Vets Two Miles To Her Puppies"